The festivities of Sant Bartomeu that are celebrated in San Antonio on August 24 are approaching. Little by little, the activities programmed for the next few days are announced. The first one is this funny and popular sailing race that includes an air mattress championship. 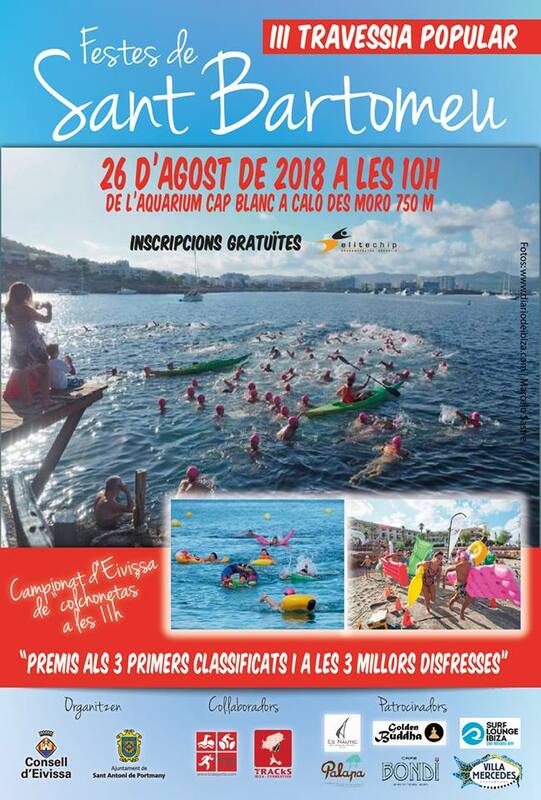 Do not miss it, on Sunday August 26, at 10 am, the 3rd popular crossing from the Aquarium Cap Blanc to the beach of Es Caló des Moro. At 11 am starts the championship of inflatable mattress, with prize for the best costume. We are waiting for you in Sant Antoni de Portmany!